I was born in Lübeck on June 6, 1875, the second son of a merchant and senator of the Free City, Johann Heinrich Mann, and his wife Julia da Silva Bruhns. My father was the grandson and great-grandson of Lübeck citizens, but my mother first saw the light of day in Rio de Janeiro as the daughter of a German plantation owner and a Portuguese-Creole Brazilian. She was taken to Germany at the age of seven. I was designated to take over my father’s grain firm, which commemorated its centenary during my boyhood, and I attended the science division of the «Katharineum» at Lübeck. I loathed school and up to the very end failed to meet its requirements, owing to an innate and paralyzing resistance to any external demands, which I later learned to correct only with great difficulty. Whatever education I possess I acquired in a free and autodidactic manner. Official instruction failed to instill in me any but the most rudimentary knowledge. When I was fifteen, my father died, a comparatively young man. The firm was liquidated. A little later my mother left the town with the younger children in order to settle in the south of Germany, in Munich. After finishing school rather ingloriously, I followed her and for the time being became a clerk in the office of a Munich insurance company whose director had been a friend of my father’s. Later, by way of preparing for a career in journalism, I attended lectures in history, economics, art history, and literature at the university and the polytechnic. In between I spent a year in Italy with my brother Heinrich, my elder by four years. During this time my first collection of short stories, Der kleine Herr Friedemann (1898) [Little Herr Friedemann], was published. In Rome, I also began to write the novel Buddenbrooks, which appeared in 1901 and which since then has been such a favourite with the German public that today over a million copies of it are in circulation. There followed shorter stories, collected in the volume Tristan (1903), of which the North-South artist’s novella Tonio Kroger is usually considered the most characteristic, and also the Renaissance dialogues Fiorenza (1906), a closet drama which, however, has occasionally been staged. In 1905 I married the daughter of Alfred Pringsheim, who had the chair of mathematics at the University of Munich. On her mother’s side my wife is the granddaughter of Ernst and Hedwig Dohm, the well-known Berlin journalist and his wife, who played a leading role in the German movement for women’s emancipation. From our marriage have come six children: three girls, of whom the eldest has gone into the theatre, and three boys, of whom the eldest has also devoted himself to literature. The first literary fruit of my new status was the novel Königliche Hoheit (1909) [Royal Highness], a court story that provides the frame for a psychology of the formal-representative life and for moral questions such as the reconciliation of an aristocratic, melancholic consciousness with the demands of the community. Another novelistic project followed, the Bekenntnisse des Hochstaplers Felix Krull (1922) [Confessions of Felix Krull, Confidence Man]. It is based on an idea of parody, that of taking an element of venerable tradition, of the Goethean, self-stylizing, autobiographic, and aristocratic confession, and translating it into the sphere of the humorous and the criminal. The novel has remained a fragment, but there are connoisseurs who consider its published sections my best and most felicitous achievement. Perhaps it is the most personal thing I have written, for it represents my attitude toward tradition, which is simultaneously loving and destructive and has dominated me as a writer. In 1913 the novella Tod in Venedig [Death in Venice] was published, which beside Tonio Kroger is considered my most valid achievement in that genre. While I was writing its final sections I conceived the idea of the «Bildungsroman» Der Zauberberg (1924) [The Magic Mountain], but work on it was interrupted in the very beginning by the war. Although the war did not make any immediate demands on me physically, while it lasted it put a complete stop to my artistic activity because it forced me into an agonizing reappraisal of my fundamental assumptions, a human and intellectual self-inquiry that found its condensation in Betrachtungen eines Unpolitischen [Reflections of an Unpolitical Man], published in 1918. Its subject is the personally accented problem of being German, the political problem, treated in the spirit of a polemical conservatism that underwent many revisions as life went on. An account of the development of my socio-moral ideas is found in the volumes of essays Rede und Antwort (1922) [Question and Answer], Bemühungen (1925) [Efforts], and Die Forderung des Tages (1930) [Order of fhe Day]. Lecture tours abroad began immediately after the borders of countries neutral or hostile during the war had been re-opened. They led me first to Holland, Switzerland, and Denmark. The spring of 1923 saw a journey to Spain. In the following year I was guest of honour of the newly established PEN Club in London; two years later I accepted an invitation of the French branch of the Carnegie Foundation, and I visited Warsaw in 1927. Meanwhile, in the autumn of 1924, after many prolonged delays the two volumes of Der Zauberberg were published. The interest of the public, as revealed by the hundred printings the book ran into within a few years, proved that I had chosen the most favourable moment to come to the fore with this composition of ideas epically conceived. The problems of the novel did not essentially appeal to the masses, but they were of consuming interest to the educated, and the distress of the times had increased the receptivity of the public to a degree that favoured my product, which so wilfully played fast and loose with the form of the novel. Soon after the completion of the Betrachtungen I added to my longer narratives a prose idyll, the animal story Herr und Hund (1919) [Bashan and I]. Der Zauberberg was followed by a bourgeois novella from the period of revolution and inflation, Unordnung und frühes Leid (1926) [Disorder and Early Sorrow]; Mario und der Zauberer [Mario and the Magician], written in 1929, is for the time being my last attempt at compositions of this size. It was written during my work on a new novel which in subject matter and intention is far different from all earlier works, for it leaves behind the bourgeois individual sphere and enters into that of the past and myth. The Biblical story for which the title Joseph und seine Brüder is planned, and of which individual sections have been made known through public readings and publications in journals, seems about half completed. A study trip connected with it led me to Egypt and Palestine in February-March-April, 1930. Ever since his early days the author of this biographical sketch has been encouraged in his endeavours by the kind interest of his fellow men as well as by official honours. An example is the conferment of an honorary doctor’s degree by the University of Bonn in 1919; and, to satisfy the German delight in title, the Senate of Lübeck, my home town, added the title of professor on the occasion of a city anniversary. 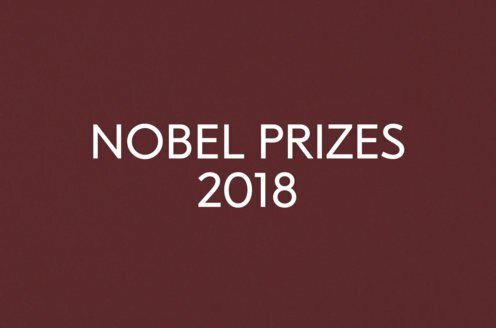 I am one of the first members, nominated by the state itself, of the new literary division of the Prussian Academy of Arts; my fiftieth birthday was accompanied by expressions of public affection that I can remember only with emotion, and the summit of all these distinctions has been the award of the Nobel Prize in Literature by the Swedish Academy last year. But I may say that no turmoil of success has ever dimmed the clear apprehension of the relativity of my deserts or even for a moment dulled the edge of my self-criticism. The value and significance of my work for posterity may safely be left to the future; for me they are nothing but the personal traces of a life led consciously, that is, conscientiously. 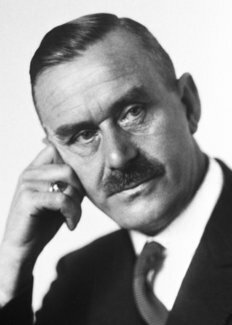 Thomas Mann (1875-1955) moved to Switzerland in 1933 shortly after the Nazis had come to power and begun a campaign of abuse against him. He was formally expatriated in 1936. In 1937 the University of Bonn deprived him of his honorary doctorate (restored in 1946), which aroused Mann to a famous and moving reply in which he epitomized the situation of the German writer in exile. Mann, who had anticipated and warned against the rise of fascism during the Weimar Republic (e.g., in Mario and the Magician), continued to combat it in many pamphlets and talks throughout the period of the Nazi regime and the Second World War. He became an American citizen in 1940 and, from 1941 to 1953, lived in Santa Monica, California. After the war he frequently revisited Europe: in 1949 he received the Goethe Prizes of Weimar (East Germany) and Frankfurt (West Germany), but when he finally returned to Europe he settled near Zürich, where he died in 1955. Among the chief works of Mann’s later years are the novels Lotte in Weimar (1939) [The Beloved Returns], in which the fictional account of a meeting of the lovers of Werther grown old provides the framework for a psychologically and technically ingenious portrait of the old Goethe; Joseph und seine Brüder (1933-43) [Joseph and his Brothers], a version of the Old Testament story which interweaves myth and psychology; and Dr. Faustus (1947), the story of an artist who chooses to pay with self-destruction for the powers of genius, a fate that echoes the last days of the Third Reich; the collections of essays Leiden und Grösse der Meister (1935)[ Suffering and Greatness of the Masters]; and the essay on Schiller, Versuch über Schiller (1955). A complete edition of his works in twelve volumes was published in Berlin (1956) and in Frankfurt (1960). Thomas Mann died on August 12, 1955.